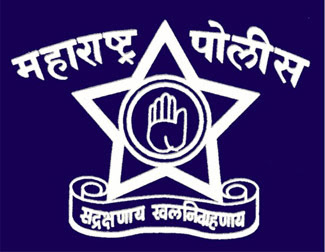 Maharashtra Police is inviting applications from eligible candidates for the post of Law Instructor. Applicants who fulfill the desired criteria for the Maharashtra police vacancy should send their application form before the last date. First of all applicants will have to download form from official website of Maharashtra Police that is www.mahapolice.gov.in to fill it then proceed to apply. Enough scale of pay per month will be given to recruited candidates. For each vacancy process of selection is given below in easy format, therefore candidates check before proceed to apply to recruit in Maharashtra Police. Important highlights suitable to apply for Maharashtra Police Law Instructor Recruitment are visible below for all the visitors of this web page. Educations Qualification ->> Applicants must complete their degree in law from reputed university of Institutions. Age Limit ->> Maximum age is 60 years. Pay Band ->> Selected candidates will get Rs. 12,000 + GP of Rs. 3,000 = Rs. 15,000 from the organization. Selection Process ->> Selection of the candidates will be done on the basis of their performance in written exam & interview. How to Apply ->> Interested applicants who are going to apply for Maharashtra Police Law Instructor Recruitment they need to download application form through official website of Maharashtra Police that is www.mahapolice.gov.in & send it along with all the self attested photocopies of relevant documents/ certificates at given below postal address.